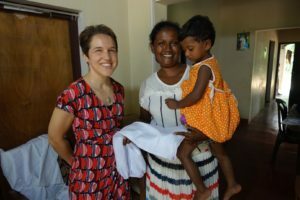 Get to know Jacinta Holmick, the volunteer administrator running the Mia Fratino Foundation on the ground in Sri Lanka. 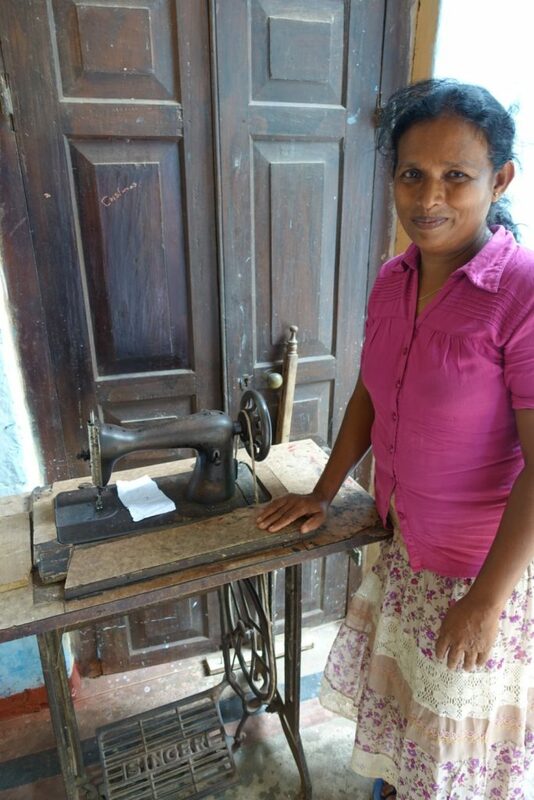 The Foundation lends interest-free money to women from rural villages in Sri Lanka to help them create their own micro-businesses. Jacinta, an Australian ex-pat mother of 3 and civil engineer, spoke with me about the joys and challenges of her work and shared what makes the Mia Fratino Foundation so special. Firstly I would love to know, what is a ‘day in the life’ working with the foundation in Sri Lanka? Jacinta: Our number one goal was to ensure that every dollar reaches the women. So we wanted to break the model where charities end up having admin overheads and hangers-on that consume a good portion of the dollars before it even reaches the people in need. Then we wanted to find a way to focus on women-centred households. It is really tough for a single woman to support a family and make ends meet, so they have no savings and live hand to mouth. They have so few opportunities. It is a real poverty trap. So we needed to break the trap by helping them to build little businesses. For this project we have partnered with Caritas International who work with disadvantaged communities across the island. We worked with them to identify women who would benefit from our program. A fair bit of work goes into the initial stages – pre-selecting the women, visiting their homes, carrying out the financial skills training and helping them to prepare their business plans. After the loans are issued there are monthly meetings which the women attend, they are guided and supported in their business at these meetings and they make the regular repayments. I have the day to day issues handled by a Caritas facilitator who is close by to the villages which means there is always contact and support available for the women. I find I am chasing the loose ends that get overlooked but are the important things to make sure there is structure and accountability. Otherwise the structure can really easily just drift aimlessly. That sounds like a full schedule! So how is THIS foundation different to any others out there that may do similar things? J: We built a ‘micro-finance’ model which means we give interest-free loans to help the applicants buy the necessary raw materials or machines they need to get their little business going. They have a contract with the Foundation that asks that the loan be repaid in 12 monthly installments. This builds a level of discipline into their lives to plan ahead and meet commitments. One of the early problems we faced was that a number of hopeful applicants thought that the Foundation was just handing out money. This is one thing the Foundation was never going to be part of – the idea of free ‘hand-outs’. Hand-outs do not help people to think through how they can make life-changing decisions. So this caused a bit of disappointment for some. So we added an additional incentive for our women to want to save money. At the beginning, no one had a bank account or any savings. We encouraged them to save just 200R per month, which is really attainable, and promised that at the end of the programme, every rupee they had put into savings for at least 3 months, we would double. This gave a real impetus to be successful. That’s great! Where do the women in the program come from? 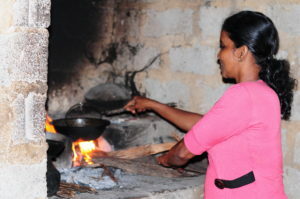 J: For this project the women come from the rural areas of a region called Kurunegala. It is towards the centre of the island and was actually once the capital of Sri Lanka about 700 years ago. Some live in towns, but most live in the rural areas where there is very little infrastructure. Its hard to explain to people that to travel 20km might take 3 hours. For the second round of financing we chose women who had been part of SHGs (Self Help Groups) which means they have had some idea of creating a new life but had not really had the means to make it happen. So as part of the program what sort of skills and jobs do the women do for their work? J: Generally, the women have completed schooling to around the age 16. This is one great thing in Sri Lanka. The education may not be equal, but at least they have had something. Because of where they live, they will look to do any type of manual work in a small industry, or a farm – usually something that they are able to readily sell. Some become seamstresses or make baby clothes, setting up vegetable plantations is popular because the produce can be readily sold for cash. Some have set up small stalls selling fried snacks they make in their homes. Its all about creating an independent small income for themselves. So they have the opportunity to have an education then start working themselves, learning new skills. With all that how does the cyclical process of the funding work? Having no overheads, is ‘give back’ framework a successful model? J: As the women repay their loans, the money goes into a central pool to provide grants to new women entering the program. For example, 8 women were granted loans in February 2016, their repayments went into a central fund which then paid out loans to a further 4 women in November 2016. I see, so how many women are going through at the moment? J: Our first group which has grown from 8 to 12 women, which helped us learn a whole lot of things that we did not plan for, such as getting people to complete paperwork. I drove people mad to do just some of the little things- like opening bank accounts, keep proper paperwork and turn up to meetings. But then when it came to getting Round 2 going, we found we had to create 2 groups because of the level of interest. Once people could see what was happening, they wanted to join. And have any of these women known each other before going through the program? J: Yes, many of them. For our second intake we chose two villages and then selected women from those villages. As travel is very difficult we decided to manage the projects this way. Then we are able to meet with the women in their villages rather than asking them to travel, sometimes up to 3 hours, to meet in a central location. It works out better for everybody this way- and helps develop a sense of pride for these women within their communities. So you’re managing the program for 30 women at the moment! What is the hardest part of managing on the ‘front line’? J: For me personally, I find it difficult that I can’t talk to many of the women directly as I want to, because I don’t speak Sinhala. 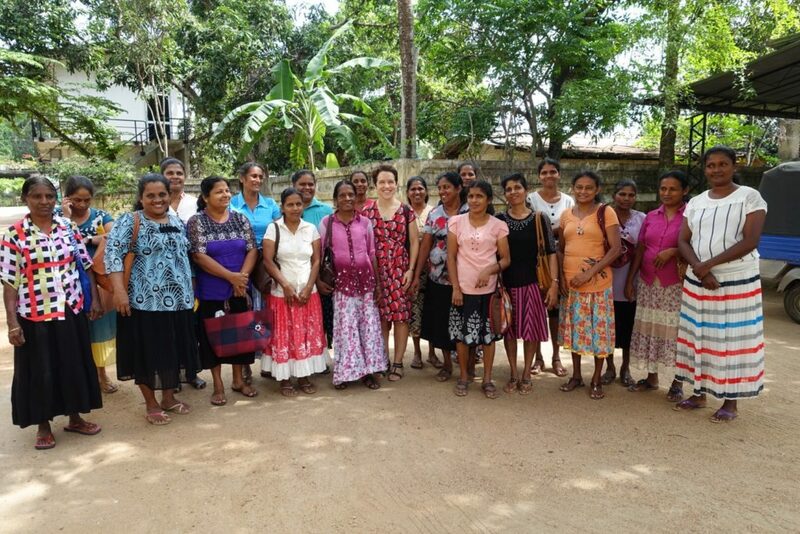 Only a few of the women can speak English so I have to talk through a translator – I must learn more Sinhala! It can also be difficult because the women are living month to month on their income, so if there is any sort of set back, like heavy rains, or a medical problem in the family, they have no cash reserves to manage this. Often it’s two steps forward and one step back. What sort of experiences have these women had? J: Many of the women have been touched by the civil war. Most have been affected in some way, whether by a death in the family through the fighting, or injuries from terrorist attacks and landmines etc. Some women had to leave their home villages to escape fighting and have taken up residence in their current villages to stay with family. When there is no male at the head of the family, it is a real struggle to make ends meet because the work opportunities for women are so few. It’s a constant battle living day to day. It must be challenging to work with people who have been through so much. What is the most rewarding part of the process? Seeing the benefits for the next generation first hand. J: Definitely seeing the women thrive and move forward! Its the ripple effect that their success causes. Their children see a new way of thinking about life and the choices that are possible to break out of the poverty trap. This is the power of the programme that it can touch so many other lives that you don’t even see. With all the ups and downs, you really know that something good is happening. Interviewer: Aviva Payne : Sydney based freelance journalist. Jacinta, what a wonderful inspiration you are to women across the world on International Women’s Day. Your actions embody the strength, determination and results that women together can achieve. Congratulations to your Foundation and may it inspire other women to believe in themselves and know that they can achieve their dreams. Thank you Jenny, I must say that these women are my inspiration. I met a number of our Mia Fratino ladies yesterday. One elderly lady is living in a very remote location, she walks more than 1km to reach the main road and has no electricity in the home. When I looked under some coconut leaf matting I found mud bricks drying – in her ‘free time’ she is making bricks for an extension! These women really are amazing, the lives they have are so removed from our own, they show incredible tenacity in the face of their hardships. It’s a blessing to be able to spend some time with them.